Montclair Auto Body is a full-service collision shop in Ontario, CA that will work with your insurance company to get your vehicle back on the road in pre-accident condition as soon as possible. We are equipped with the latest tools and technologies to provide quality repairs, from minor scratches to major collision damage and everything in between. We're certfied for Honda, Acura, Nissan, Infiniti, and GM vehicles. We know your vehicle is a prized possession. That’s why we’ll help you keep it looking its best, especially after an accident. Cromax Pro is one of the most environmentally safe paints available on the market today. In addition, this paint system will provide your vehicle Original Equipment Manufacturer (OEM) quality color and appearance. Montclair Auto Body is also backed by Axalta Automotive Finishes. For more than 75 years, Axalta has offered the most accurate color-matching tools and technology in the automotive paint industry. 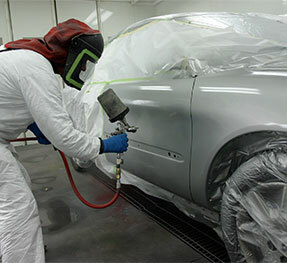 Upon delivery, we will provide all the valuable information you’ll need to care for your vehicle’s new paint. After an accident, don’t worry about how you’ll get to our shop—we’ll be happy to help! Montclair Auto Body offers complimentary drop-off and pick-up to all customers. Call us today to schedule an appointment. 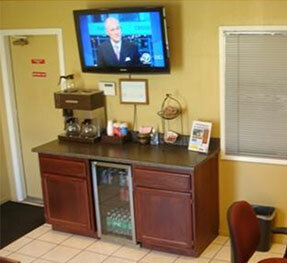 Some of our other amenities include a complimentary beverage center stocked with fresh brewed coffee, Danishes or pastries, soft drinks, filtered water, organic fruit, and oatmeal, free Wi-Fi, 42” plasma TV, a comfortable lobby, and clean restrooms. 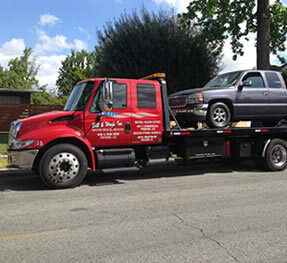 In order to offer 24 hour towing, Montclair Auto Body has partnered with one of the largest towing companies in the Inland Empire. Just call (909) 923-6100, and mention Montclair Auto Body for special rates. If you have been involved in an accident and need emergency services, dial 911. We are also partnered with two of the largest rental agencies in the area, and can now offer curbside rental. We will deliver the rental vehicle to your residence or place of employment—just call (909) 988-5755 to schedule today.